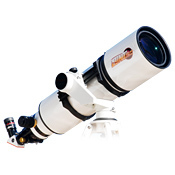 Refractor based telescope has a precision aligned doublet lens with 152mm aperture. An internal etalon with Pressure Tuner adjustment allows a <0.65 Angstrom bandpass. The internal module is removable and can be switch to a CaK module. Focal length is 900mm. 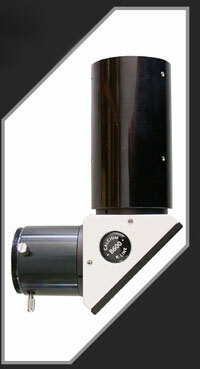 Starlight Instruments Feather Touch Focuser with 10:1 reduction standard. 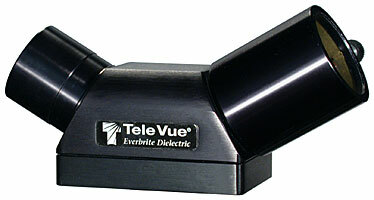 Supplied with 12mm Blocking Filter.